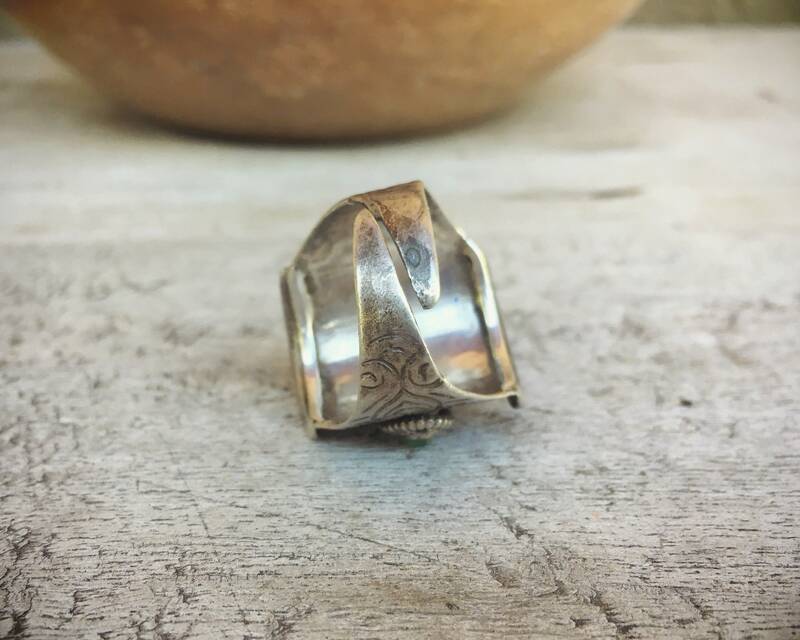 This vintage ring is a traditional "Saddle" Ring from Tibet, so called because it is shaped like the wooden saddle of a yak. 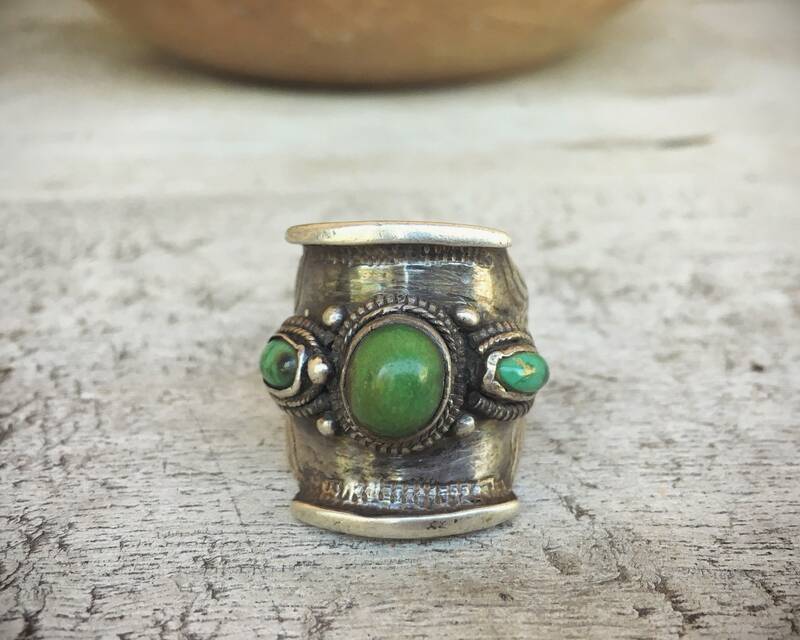 In Tibetan culture, yak are treasured possessions, valued for the service they perform as beasts of burden, providing wool, milk, hides, meat, and horns. 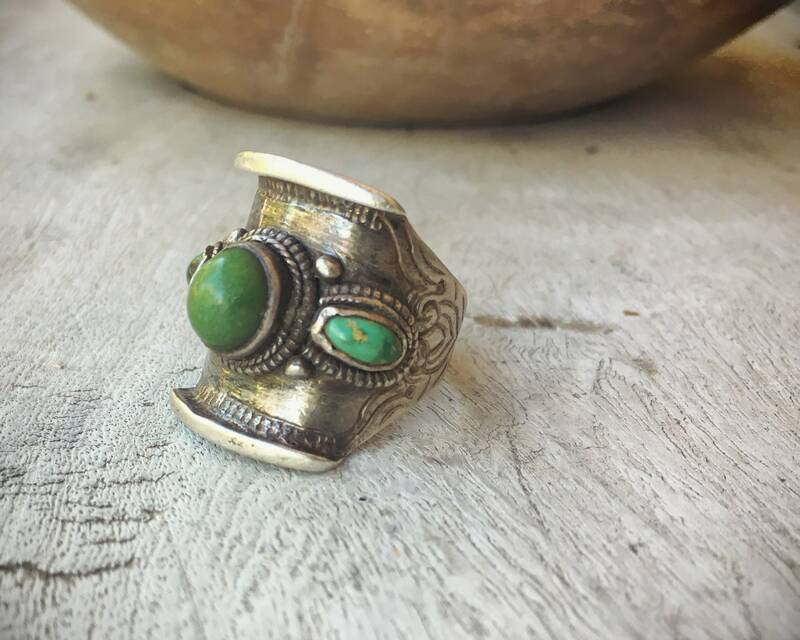 They are beautiful creatures, and Tibetan art often includes shapes associated with the animal, as they are symbols of prosperity. 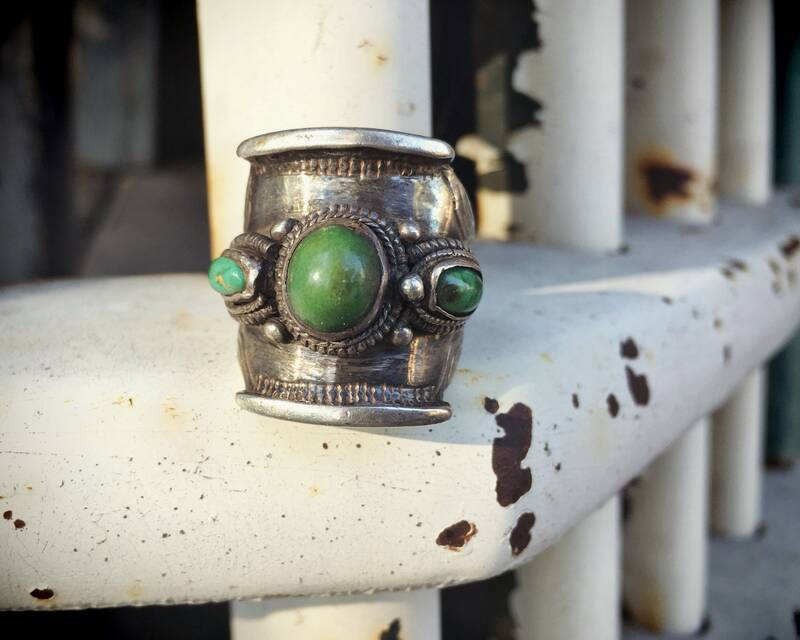 Like the yak saddle, this ring has raised ends. 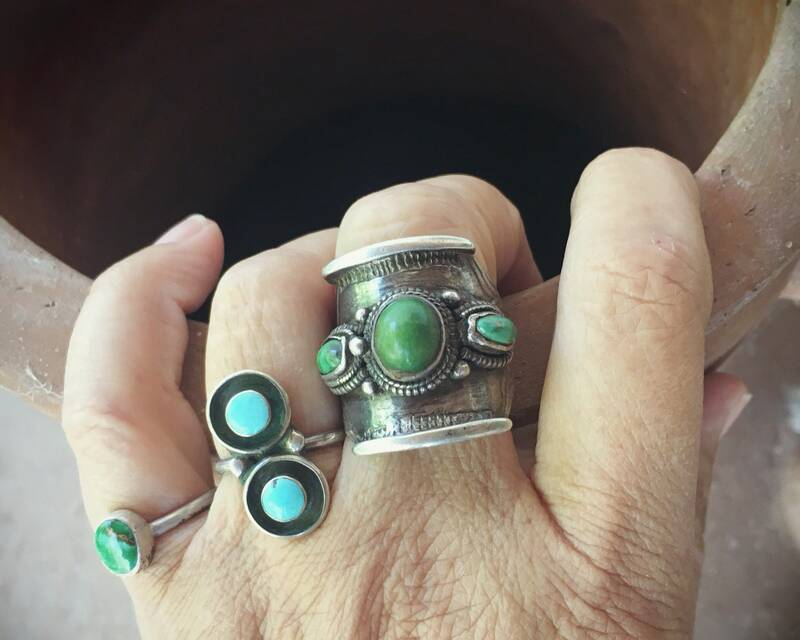 The sterling silver is carved on the sides, and the green turquoise stone in the center is is raised substantially above the bezel. 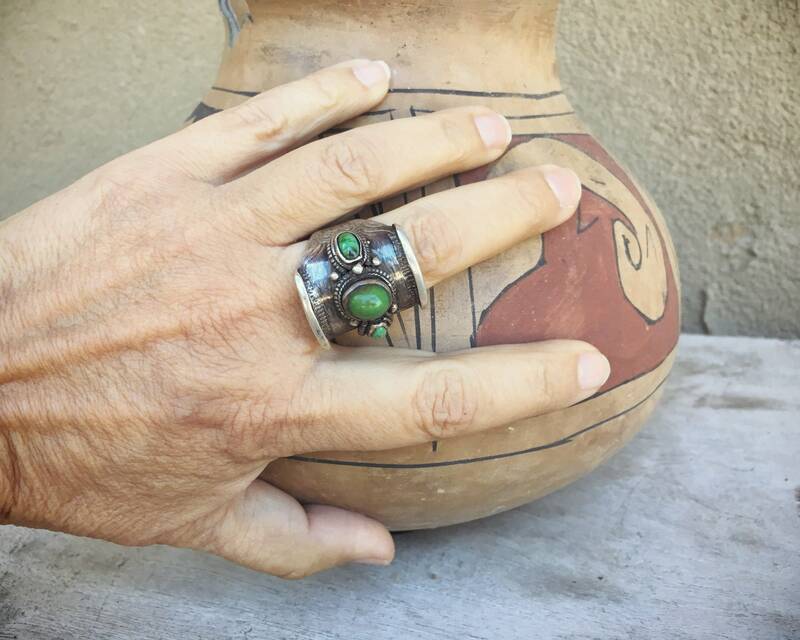 A word about the turquoise in this ring--it is stunning, and the two stones on the sides each have matrix in them. 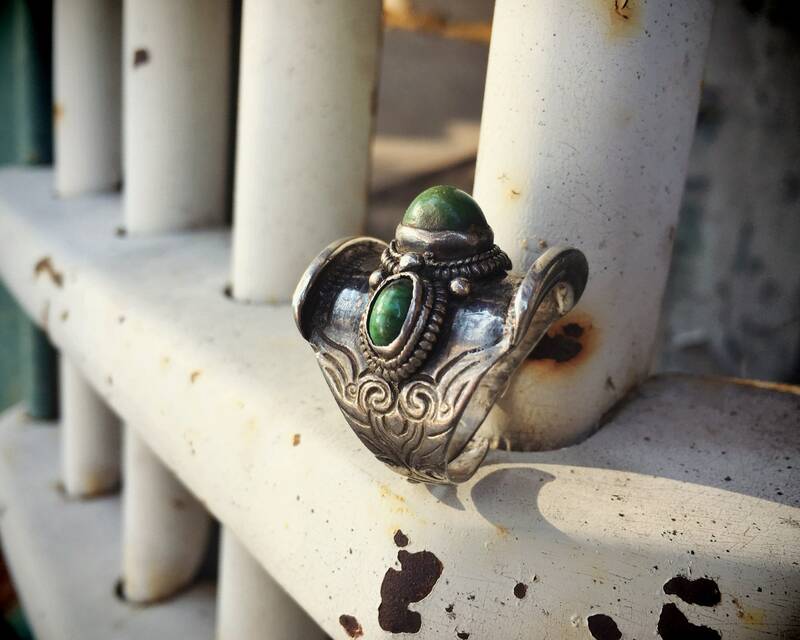 The silver carries a beautiful patina, and we know the ring is quite old given the wear on the sides where the intricate carving has worn down. Also, the unique adjustable band has soft edges from wear. It's hard to get an exact measurement on the ring using a mandrel, as the adjustable split band gives as the ring is pushed downward on the tool. 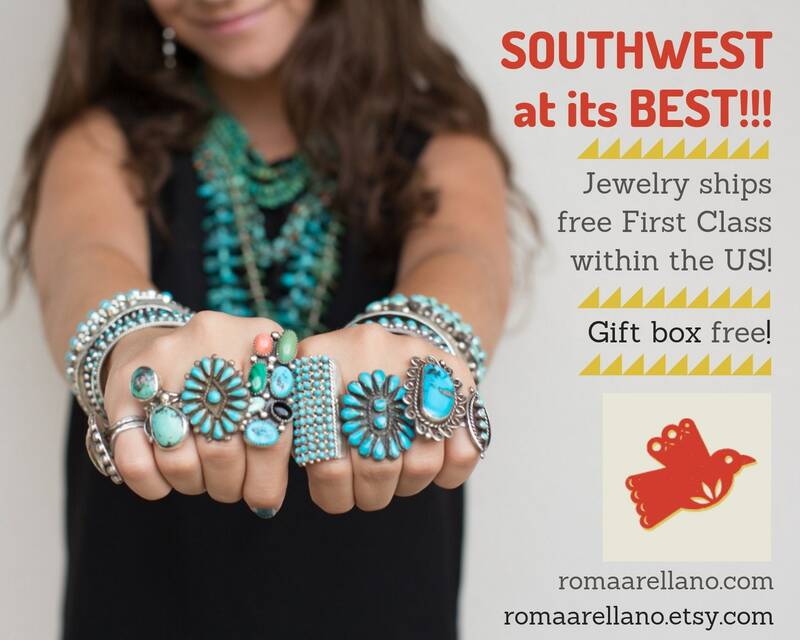 But it's safe to say that the smallest size of the ring is a 10 and closer to an 11 given the "give" in the band. 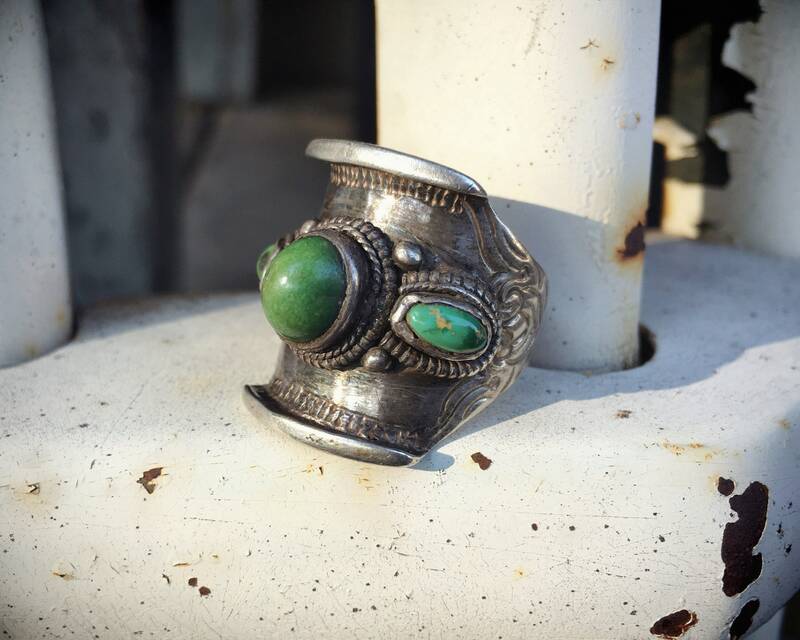 The face of the ring is 1" wide, and the largest cabochon is about 3/8" long by just slightly shorter in width. 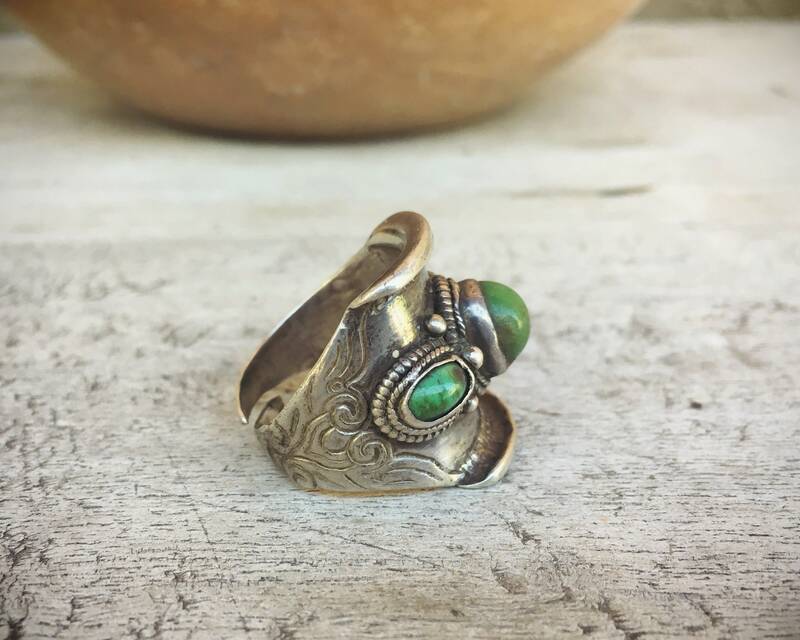 Other than the wear from age described above, the ring is in good vintage condition with stones well seated.